Are you U14 to U16 and interested in becoming a junior umpire for Wests U8–U10 home games? It’s a great way to earn pocket money and learn more about the game. 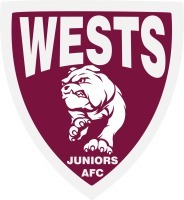 Wests Juniors pays $15 plus refreshments for each U8–U10 game you umpire. To become a club umpire you just need to attend two to three short training sessions (details attached). The first session starts on Wednesday, 31 March so get in quickly. Contact Jon Loraine if you are interested by email at jloraine@neuchatel.com.au or phone 0419 643 200.